*Sorry for the lack of post yesterday. I was on a plane until late in the evening and I was too lazy to pre-schedule my Waiting on Wednesday post. 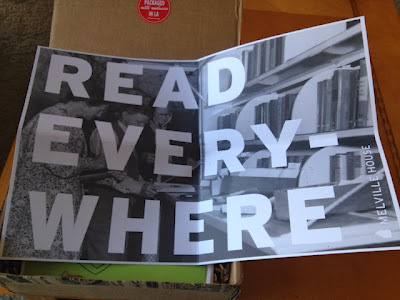 I received my very first Book Riot Quarterly Box today. Book Riot is one of my favorite book blogs. It's massive, covering everything from young adult to adult genre to adult literary to adult non-fiction. Also, if you're a podcast listener, you must check out the fabulous weekly Book Riot podcast and the new Dear Book Nerd advice podcast. Book Riot has hopped on the subscription bandwagon. For $50, they will send you a box filled with books and book related items every quarter. This is the second box that they've sent out and the first that I subscribed to. 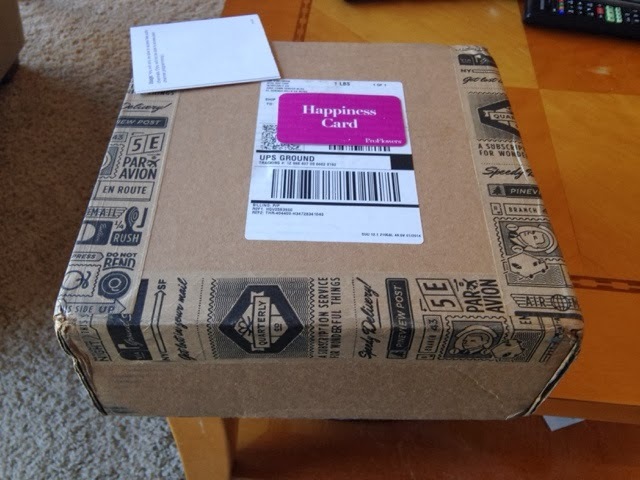 Here's the box before I opened it, to give you an idea of the size. Ignore the Proflowers and the other white cards. I needed to cover up my address. The opened box. I really liked the nicely organized packaging. A few pages explaining the contents of the box. (1) A magnet. Can never have enough of those. 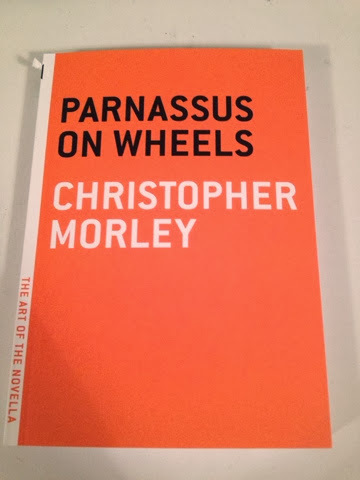 (2) Book darts. I'm showing the back of the package, to highlight the label - they were made in Hood River, Oregon which is right next to the town where my mother grew up. (3) A Book Riot Short Stories Thursday flash drive. "Jacob Tomsky wants to send you a short story each week, and he wants you to read it, and that's basically all he wants. 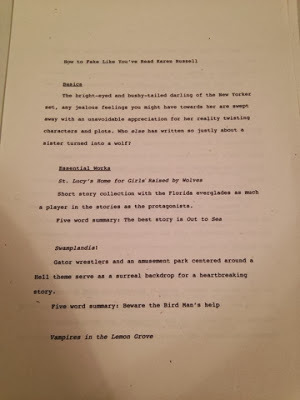 Tomsky's Short Story Thursday emails (he prefers to call them dispatches) are personal, profane, and profoundly delightful." The flash drive contains a video of Jacob explaining Short Story Thursdays and a few stories. The ironic thing about this is that I literally finished reading Jacob's book Heads in Beds, a memoir about working in the hotel industry last night on the plane. That's Roger Mifflin, the traveling bookman at the heart of this oozing-with-charm 1917 novella. Mifflin's horse-pulled bookwagon is a kind of proto-bookmobile and when he arrives at Helen McGill's farm looking to sell his whole setup to her literary legend of a brother, he finds himself acquiring an unexpected new partner in business and in life. That's right. This is a story about a couple who travel the countryside selling books. It's funny and sweet, and it's a beautiful and timely reminder that though we live in a time when readers have oodles of options and everything seems new, some of the very best things about the reading life are constant." 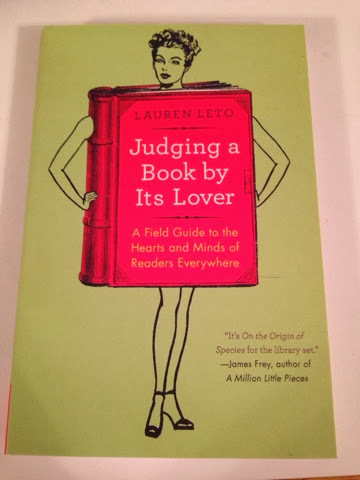 Lauren Leto wrote "a fantastic collection of essays and personal stories built on [the belief that 'there are no right and wrong books to read']. Within these pages, you'll find reflections on what it means to be a rabid Harry Potter fan, rules for bookstore hookups, tips for classifying other readers by their favorite books, and guides for faking like you've read books, from the dustiest, stuffiest classics to the biggest contemporary hits." 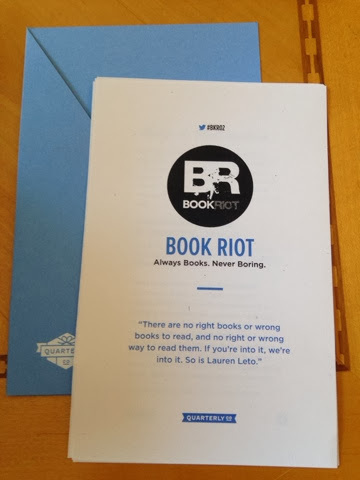 Included with Lauren's book is "three brand new 'How to Fake It' guides exclusively for Book Riot Quarterly subscribers." And maybe my favorite thing in the entire package. 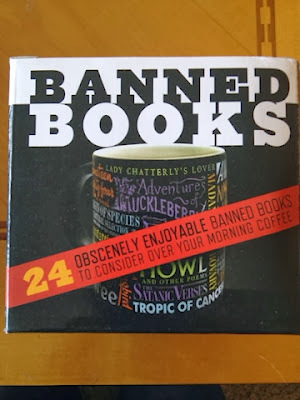 A fantabulous banned books coffee mug. I absolutely adore this. It lists titles of books that have been banned in a variety of cool fonts - Animal Farm, Les Miserables, Uncle Tom's Cabin, and many more. It's the perfect sized mug and looks like it's good quality. I'm really pleased with this box overall. It contains things I never would have bought for myself. I've never heard of the books and would have ignored them if I'd seen them at the bookstore. But after reading Book Riot's pitch for them, I'm really excited to read both. In fact, I think I'll start Lauren's book as soon as I post this. If you only read YA, this probably isn't the box for you. I've increasingly been reading more adult works lately, so it's a good fit. Plus, I really like the bookish items like the coffee mug and the magnet. I'm also excited to delve into Jacob Tomsky's Short Story Thursdays flash drive. I can't wait to get my next box! A good use of $50. Click on the link if you're interested in subscribing to the next Book Riot Quarterly box, which I'm guessing will ship out in June or July. 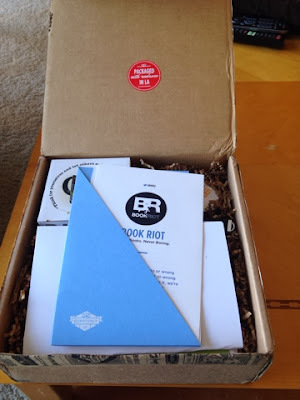 I think these Book Riot boxes are fabulous!!! I love the surprises that you get.. and I love that they are things you wouldn't normally buy for yourself. I think these boxes are totally worth the prices too. The first box came with a lot of goodies too. Can't wait to see what you think when you review everything! Thanks SO much for subscribing to our Quarterly box and sharing it with your readers. BKR03 ships out June 4. THAT IS SO COOL :D Yup, I'm just going to go check out the website new! Interesting. Sounds like the $50 is totally worth it! I like these box things (not that I've signed up for one yet) because there's so much variety in them! I think it would be fun to pack something like this. Might have to check into the Book Riot box! I signed up after reading your post. Too cool! WOW! This sounds great! I think I may sign up. 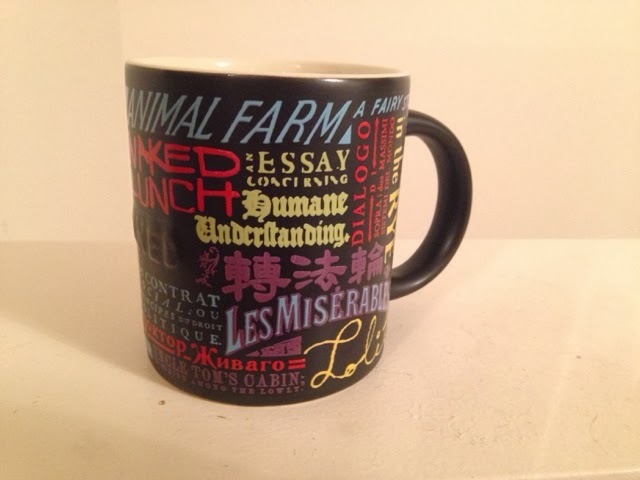 I absolutely love that mug. 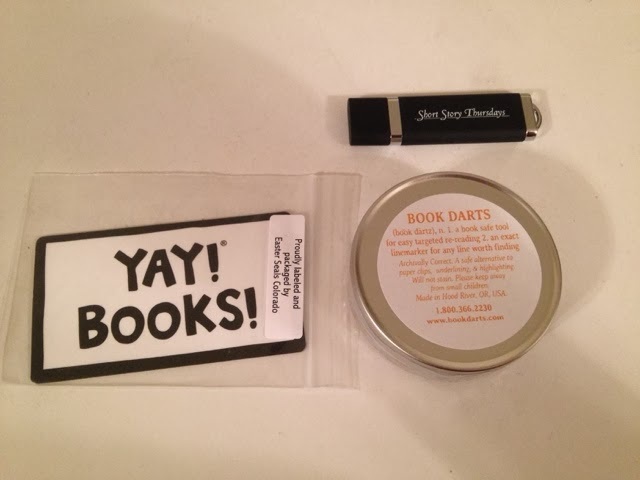 I've been hearing about Book Riot's subscription box since they started it, and I'm definitely interested in subscribing. I'm just not sure if I want to pay for it yet considering I'm a broke college student.